Greys are subtly coloured and tinted with lilac. All tones of green are important, especially khaki, moss and olive. 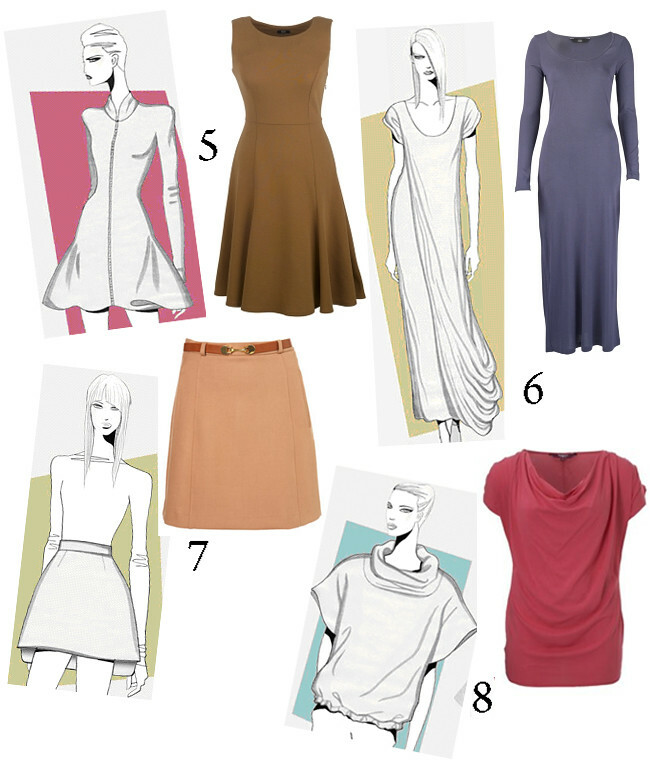 Neutrals take on a brown cast and shades of taupe are key. Watery blues are important again and range from deep and dark indigo to pale and clean, icy blue. Corals become more orange-infused and intense. Red is either pink or orange cast. 1/ Update the crop top using a trapeze silhouette. 2/ The classic white shirt is morphed into a blouse/shirt hybrid. 3/ An evolution of last season’s Envelope silhouette. Curvaceous hip volume creates a dramatic two-dimensional effect. 4/ French knickers cross over into outerwear with a sportswear aspect. 5/ Tight fitting Bodice and loose skirt create a sporty minidress. 6/ Modern in its complete simplicity, this statuesque dress hints at Roman drape detailing. 7/ The mini is transformed into a chic cone silhouette. 8/ Create an 80s retro-activewear appeal with this square silhouette shell top. Have you got a fashion related question? Loving these new shapes, especially 1 and 4! Those are really good colors for spring! and the items you picked are good too. Cant wait! I love it when you do fashion features like this, its so unqiue and not many other bloggers pull it off like you do! 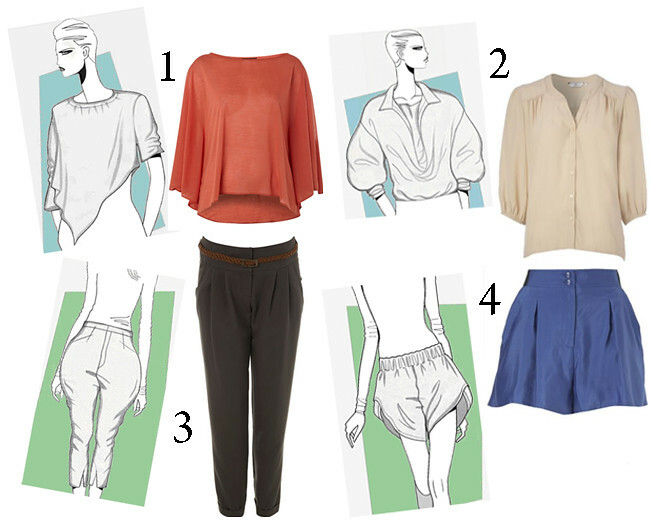 an excellent post, and i'd love to see more of these fashion tutorial type posts from you! they're really helpful for planning a new wardrobe. i cannot wait for spring! i love your blog!